Negatives: In our opinion it is not as strong as it could be. Potential problematic ingredient Others preferred. 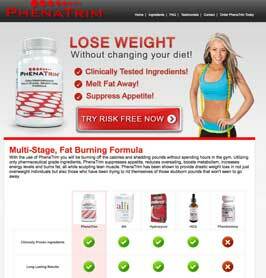 PhenaTrim is a diet pill that promises to use a blend of clinically tested ingredients to suppress the appetite and melt fat away. It appears to be exclusive to the official PhenaTrim website, which has a professional look and is easy to navigate. Unfortunately the site is somewhat lacking in information about the product and provides no insight into the identity or the company behind the product or where the pills are manufactured. No inclusion rates are provided, so it is impossible to accurately evaluate the blend’s likely potential. 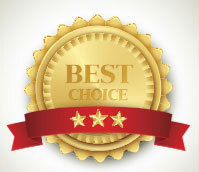 It is also unclear whether the ingredients listed on the site are the only ingredients used or just the ones considered to offer the most benefits. Adequate vitamin B3 is essential for good health. Like most other B vitamins it is required for a healthy metabolism and, for this reason, it is often included in formulations that promise to assist the weight loss process. 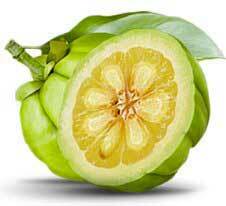 An ingredient derived from the skin of the Asian fruit garcinia cambogia. The active component is hydroxycitric acid (HCA). It assists weight loss by preventing excess sugar and carbohydrates from being used to create fresh fat cells. It also appears to have the ability to suppress the appetite. Although the ingredient is in common use in certain areas of the world it was largely unheard of in the West until the American TV personality Dr Oz endorsed its potential as a weight loss aid during one of his shows. An endogenous steroid hormone that is believed to facilitate increased muscle growth and enhanced fat burning. 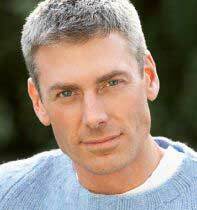 The human body is capable of manufacturing DHEA, but the amount produced diminishes with age, so supplementation with DHEA-providing products can be of benefit to anyone over 20 years of age. Fucoxanthin is a cartenoid obtained from some forms of edible brown seaweed. Although not, as yet, one of the more common inclusions in weight loss blends, its popularity is growing, but further tests are required before its efficiency can be established. 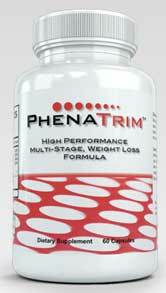 According to the PhenaTrim website guarana has been included primarily as an appetite suppressant. It is a powerful source of caffeine, and caffeine can provide mild appetite suppression, but guarana’s main virtue is probably as an energy provider. Guarana releases its caffeine more slowly than most other caffeine-providing ingredients. This means that rather than a quick burst of energy, the user is more likely to benefit from an ongoing supply. Unfortunately caffeine is also known to cause side effects and the lack of an inclusion rate makes it impossible to predict how bad any side effects might be. Two capsules are required twice each day and should always be taken with a full glass of water. For best results the first capsule should be taken half an hour before eating breakfast. The second capsule should be taken half an hour before eating lunch. The PhenaTrim contains a few customer reviews. Not surprisingly, they all extoll the product’s virtues. Independent reviews (from third-party sites) would be more convincing, but none could be found at the time of this review. The possibility of side effects is not mentioned anywhere on the PhenaTrim website, but the capsules contain a source of caffeine, and it has known side effects, so negative reactions cannot be ruled out. Possible caffeine-related side effects commonly include jitters, nausea, or heart palpitations. Pregnant or nursing mothers are advised against taking any form of weight loss supplement. People who have existing health issues or are taking medications should always consult a doctor before embarking on a weight management routine or taking any brand of dietary supplement. PhenaTrim can only be purchased from the official website. A single bottle of pills costs $21.95 plus shipping, but taking advantage of the offered bulk-buy incentives can bring the price-per-bottle down considerably. In this category (fat burner/fat blocker/appetite suppressant genre) we recommend PhenQ – the distance it can put between itself and its competition is truly stratospheric. 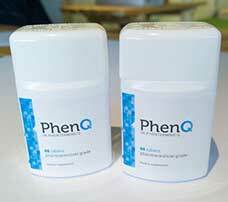 PhenQ contains a high strength formula comprising of both pharmacy grade and natural ingredients. It’s position within the industry it absolutely deserved.